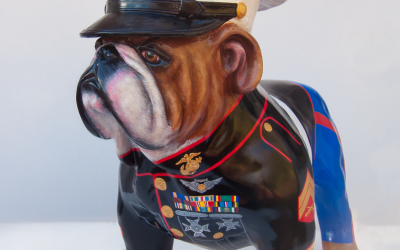 Commissioned by the Marine Corps Detachment of Athens, Ga, the “Marine Dress Blues Dog” design represents the Marine bulldog mascot in the Marine “Dress Blue” uniform. 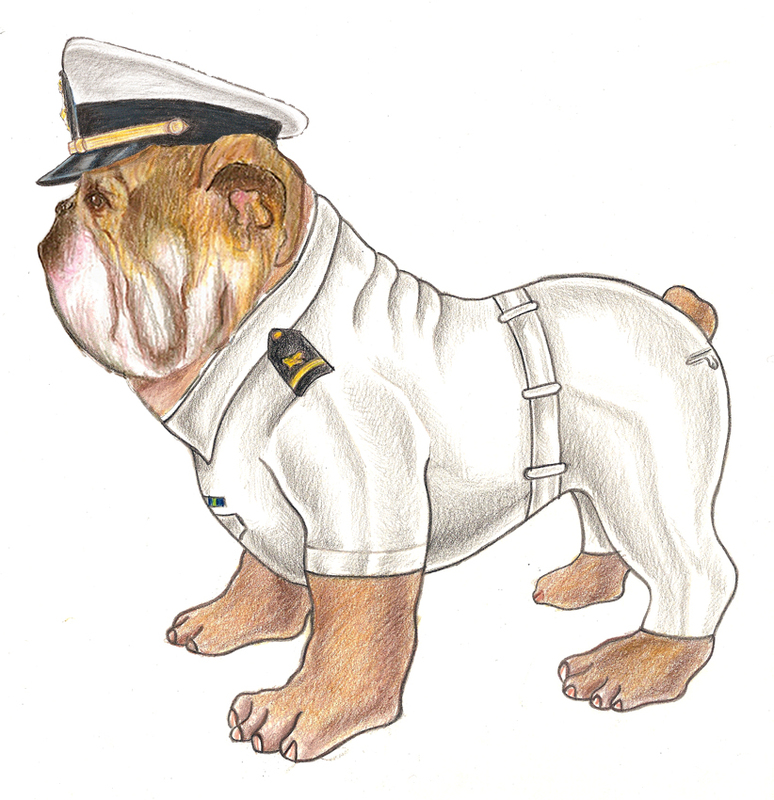 Commissioned by the U.S. Navy Supply School located in Athens, Ga, the Navy school bulldog design is based on the client’s specifications to represent a bulldog in a Navy uniform. 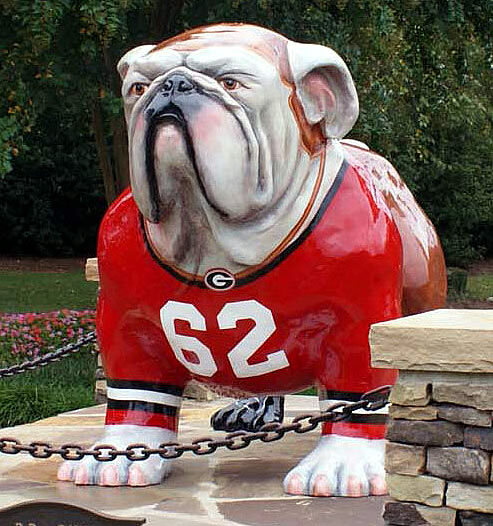 Commissioned by Archie Crenshaw of Athens, Ga, this design is inspired by the proud football tradition at the University of Georgia (UGA). 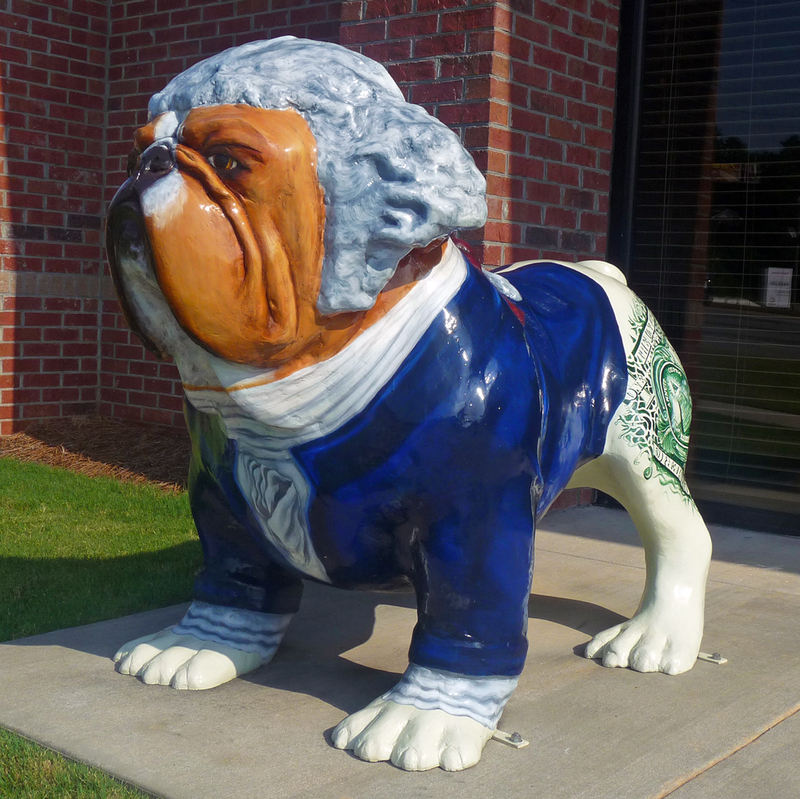 Commissioned by Robins Federal Credit Union, the “Dollar Bulldog” design is based on the likeness of George Washington and detail elements on the dollar bill.